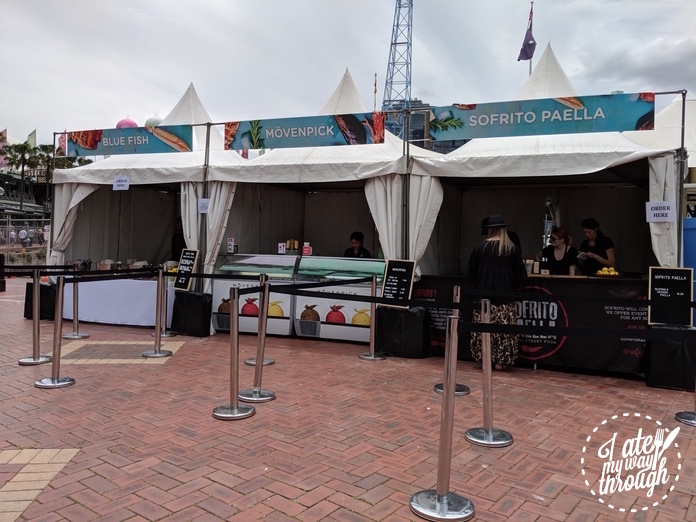 For one weekend only (December 2nd – 3rd) Sydney’s Harbourside Shopping Centre showcased several of its iconic restaurants in an outdoor market. 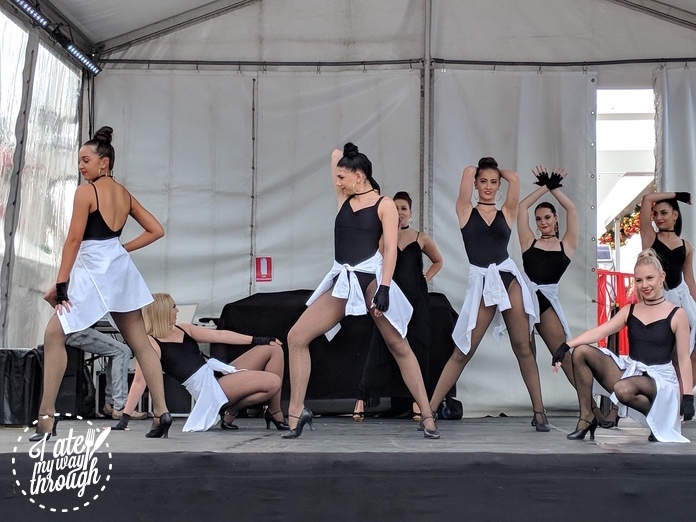 The festival had a focus on mouth-watering seafood but there was also free live entertainment, cocktail mixing demonstrations, competitions and prize giveaways. Harbourside Shopping Centre has long been a shopping, dining and entertainment destination for both tourists and Sydneysiders at Darling Harbour and this was a great opportunity to experience some of its best eateries in an al fresco setting. 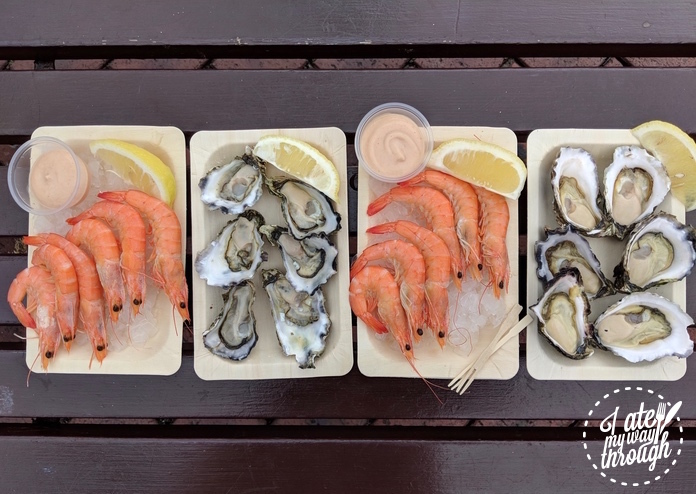 Originating from a small café, Blue Fish is one of Darling Harbour’s longest-standing restaurants and is best known for its giant family seafood platter amid an extensive menu. At the festival fresh prawns and oysters are on offer. Both are sourced locally and served simply with a drizzle of lemon juice and house-made creamy sauce. This is obviously only a snapshot of what Blue Fish has in store and for those who want more, the restaurant is right next to the pop-up stall. Specialising in live seafood and only using the highest quality ingredients, Dragon Boat is the only Chinese restaurant in Darling Harbour, boasting a panoramic view of the city skyline. A taste of its sweetcorn and crab soup shows a mastery of traditional Asian culinary techniques. 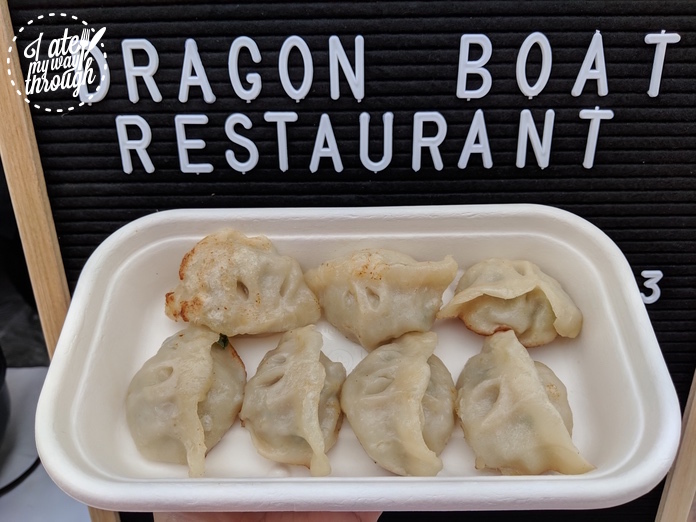 Also on offer in their pop-up are seafood spring rolls and softshell crab but we couldn’t resist the pan-fried seafood and pork dumplings – perfect with a bit of chilli sauce. 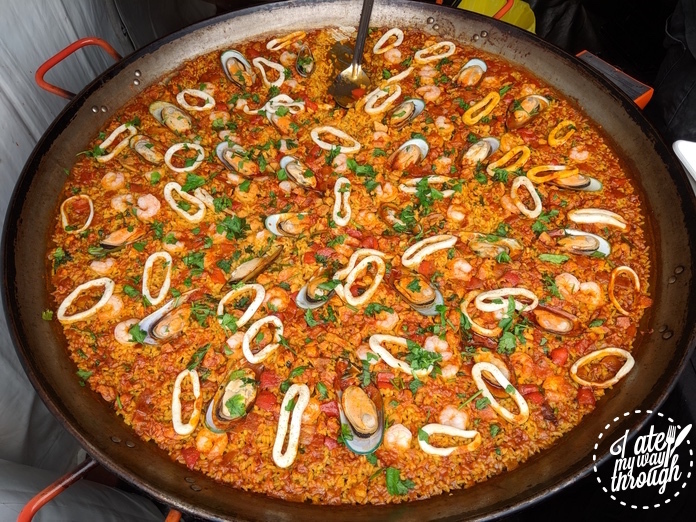 A giant shallow pan full of bright orange rice, chicken, calamari, mussels and prawns can mean only one thing: paella, from Sofrito Paella. We are big fans of the traditional Spanish dish and weren’t disappointed – the rice was aromatic and soft and the seafood was fresh and well-seasoned. 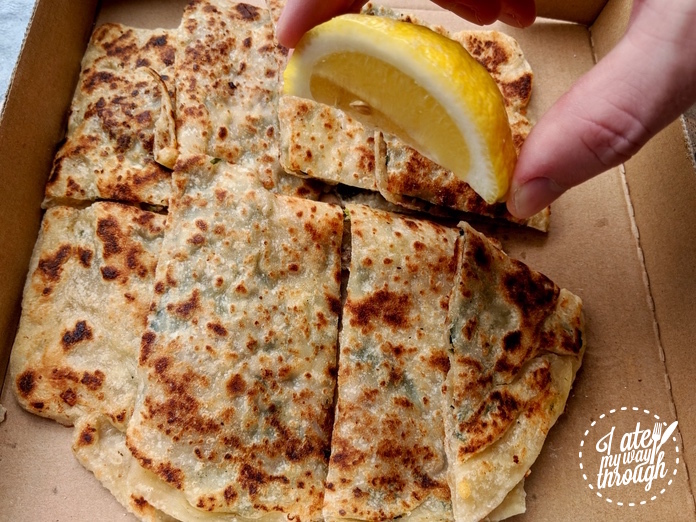 Whilst Gözleme – a flatbread typically made with spinach, beef, and cheese – is obviously not seafood, it just wouldn’t be a food market without the traditional Turkish street food. 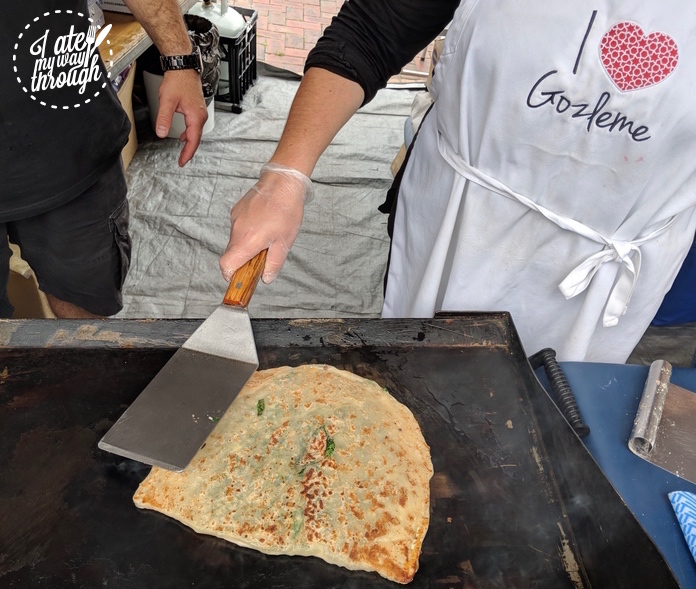 Unfortunately our Turkish isn’t up to much so we couldn’t communicate with the lady from Gozleme King who we watched skilfully transformed raw dough into a thin crispy pancakes, but it was obvious she knew the process like the back of her hand. After all this seafood we craved something sweet with either ice-cream or freshly made donuts available at the festival. But why choose when you can have both? 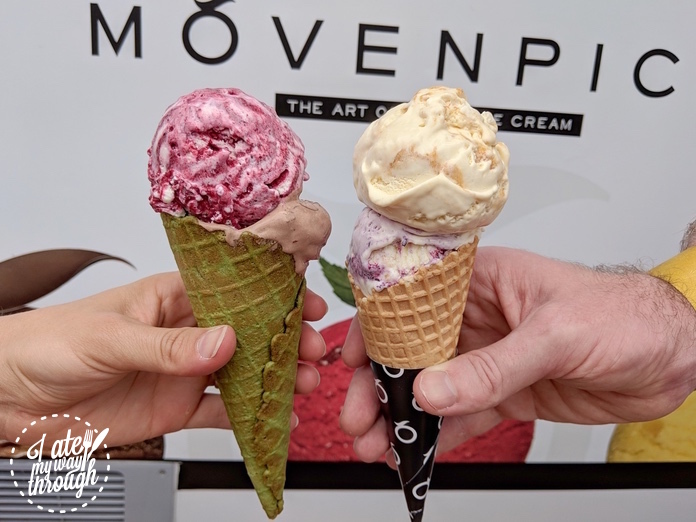 We had double scoops of Movenpick ice-cream – blueberry cheesecake and blackcurrant were particularly good. 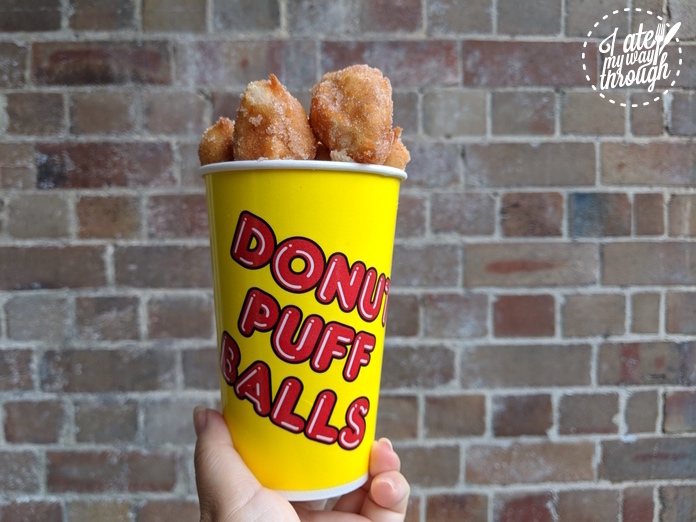 And then a cup of donuts courtesy of Donut Puff Balls. 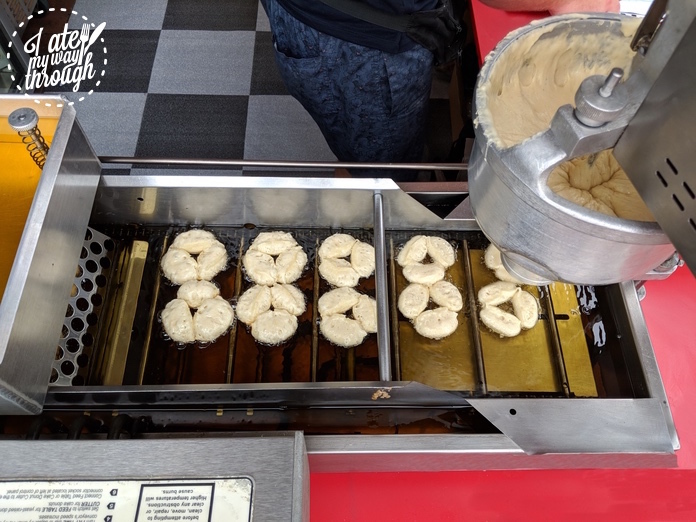 The entire production line is a seamless operation with the raw dough deposited into hot oil and, by the time it reaches the other end of the machine, voilà – a gold brown donut ready to be dusted in cinnamon sugar. This is the first year that Harbourside Shopping Centre transformed its resident restaurants into an outdoor pop-up market. Hopefully this will be the start of an annual tradition and next year the market will be even bigger and better.